Although many churchgoers are interested and active in environmental issues, places of worship are not typical outlets for environmental scientists. If scientists can link their understanding of nature to something that is valued by a religion, then the place of worship itself can become an active venue for dissemination of ecological research. To enhance awareness and a sense of stewardship for trees and forests, Research Ambassadors engaged people directly at their places of worship. What issues were presented to spiritual communities? Trees have broad spiritual and symbolic importance because they are linked closely to spiritual concepts. Trees are seen as symbols or manifestations of divine knowledge, eternal life or life renewal. Their form, with ground-bound roots and foliage that reaches skyward, reminds us of the connection between earth and the heavens. Trees epitomize the practice of prayer and meditation because of their stillness and silence. A quantitative analysis of sacred writings supported this intuitive sense. For example, 328 references to “tree” and “forest” were found in the Old Testament. Although less than 5% of references applied to what modern conservation biologists would call ecosystem services, trees were inextricably tied to the basic physical, aesthetic, and spiritual needs of humans. References to trees were also extracted from the holy texts of other religions, such as the Koran, the Bhagavad-Gita, and the Talmud, summaries of which were presented in all of the places of worship where sermons were presented. Research Ambassadors were welcomed into places of worship of many faiths, and the sermons were met with respect and deep interest. 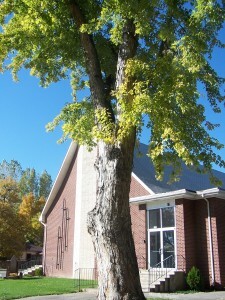 The discussions that followed the sermons revealed the sense of connection people have with trees within the religious context. Several of these encounters resulted in longer-term communication, such as writing newsletter articles by church staff, or inclusion of church members into email bulletin boards of scientists, and vice versa. A First Zen Reader. Trevor Leggett. 1960. Charles Tuttle, Inc. Rutland, Vt. Consider the Lillies: Plants of the Bible. 1986. J. & K. Paterson. Thomas Crowell, New York. 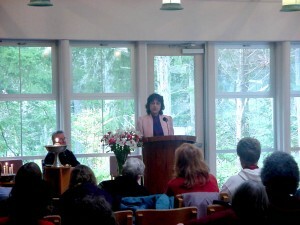 Ecology and the Jewish Sprit – Where Nature and the Sacred Meet. 1998. E. Bernstein, ed. Jewish Lights Publishing, Woodstock, Vermont. 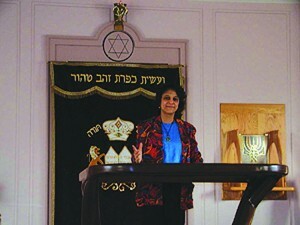 Jews, God, and History. 1962. M Dimont. Signet. New York. 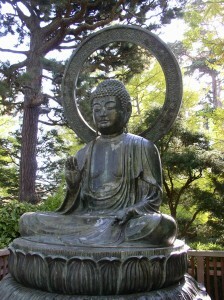 Living Buddha, Living Christ. 1995. Thich Nhat Hanh. Riverhead Books, New York. Simple Zen: A Guide to Living Moment by Moment. 1999. C. & A. Simpkins. Tuttle Publications, Rutland, Vt.